Returned sated and satisfied, our 2017 Bordeaux buying visit closes in reflective mood. Will Lyons wraps up the week, in thought, and word, and in writing all of our soon-to-be-published tasting notes – in deed. In Bordeaux history is all around you. It was the Latin poet Ausonius who first recorded mention of wine production in the region. That was in AD 350 in the area around St-Emilion where the Romans were probably the first to plant vines. Ausonius now has a château named after him, Ausone which sits on the hillside on the southern outskirts of the village. But it wasn’t until the Dutch introduced technology to drain the marshlands of the Left Bank to form what is now the Médoc in the 17th century that some of the region’s most famous names, Ch. 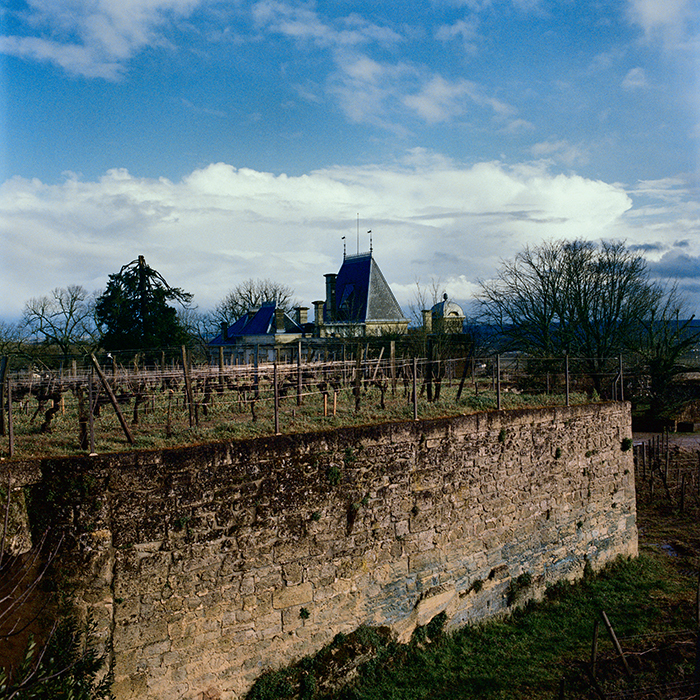 Lafite, Latour and Margaux were created. Today what Bordeaux does have is a track record. Although every growing season is different, and one of the attractions of Bordeaux is that the style of its wines change with every year, the overriding beauty of it is that whatever conditions are thrown at the winemaker it is highly likely someone in the region will have experienced it before. Bordeaux 2017 may well be remembered for the frost in late April which devastated nearly half of the potential crop. But we have been here before, most notably the extremely cold winter of 1956 and more recently in 1991. Crucially, as already observed in these blog posts, the frost of 2017 was uneven, some appellations were spared completely as were many châteaux. So how will history judge 2017? It is important to note that the wines are just at the very beginning of their ageing. As for the growing season it is worth reminding ourselves of the five conditions which govern the success of red wine vintages in Bordeaux as laid out by Dr. Axel Marchal, Dr. Valérie Lavigne and Professor Laurence Gény from the Institut des Sciences de la Vigne et du Vin, Bordeaux Aquitaine University. These are: warm and dry weather during flowering and fruit-set, a warm and dry (but not excessively so) July, August and September and fine and relatively dry and warm weather during harvest so the grapes can be picked at optimum ripeness without the risk of dilution, rot or loss of fruit aromas. As they write in their report on the 2017 growing season: “Although all five conditions for a great vintage were not combined in 2017, it was nevertheless possible, in plots spared by frost, to produce deeply-coloured, fruity, tasty red wines with good ageing potential. It would therefore be a mistake to overlook this vintage.” Adding that although quality was more mixed than 2015 and 2016 in 2017 there are many good wines. This is undoubtedly the case. The wines perhaps lack the concentration of great years but the best examples are attractive. Those that were hit by the frost less so. To follow the campaign click here and to keep up to date with all our Bordeaux coverage click here.